The Dapper Mom is in Atlanta for a minute and we are out to eat at TWO Urban Licks - a trendy and tasty restaurant. 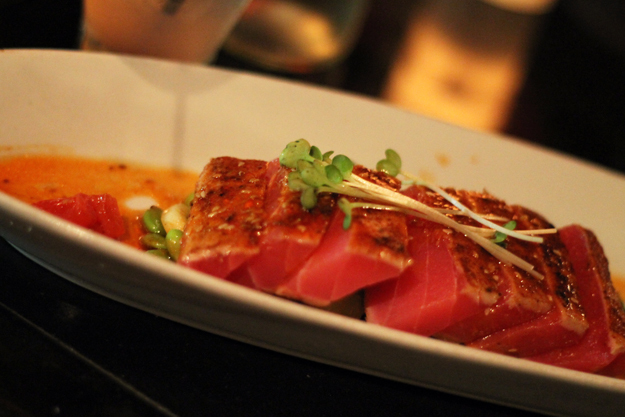 If you're in town, check out this restaurant - the acclaimed salmon chips are deee-lish. 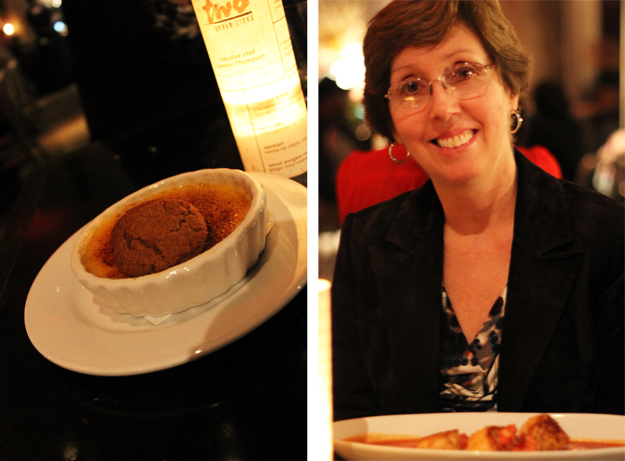 I had the seared tuna for dinner and we shared the spiced pumpkin crème brûlée for dessert! This is probably the last hurrah of this dress for 2011. I think that soon it will be too cold and the color will be too bright to rock much longer. And after I saw this leopard print envelope clutch on Chloe, I just had to have it, especially for a such a steal! Don't forget, if you missed the blog sale, you can find it here. you also look so glamorous with the pink and leopard. nicely done. Mary Ann, your mom is so cute! Very attractive lady! I see where you get your style and poise. I love your pink dress, particularly the layer of ruffles at the top. It's very festive! :D Glad you two had a great time. Have an awesome weekend! that last pic is darling! awww really cute picture of you and your mom! love your dress too! Aww, I love the picture of you and the Dapper Mom! I can absolutely see the resemblance between the two of you! The dress is beautiful as well as the ASOS envelope clutch, love it and enjoy the wknd w/Mom! Wow! This is a lovely dress and I really like how you took it up a notch with the leopard clutch. You look lovely. You and your mom both look cute! Hope you had a fantastic time. I bet you had a great time! Love the color and silhouette of the dress. So pretty! Maybe you could wear it with tights and a faux fur jacket when it gets colder? you and your mom look amazing! Also, I am hosting a giveaway @ MyLyfeMyStory You should definitely enter for your chance to win a custom made bracelet! I am your new follower..
super cute outfit! i'm actually doing a dinner for my boyfriend's mother this weekend & your outfit totally inspired me! love the leopard & that creme brulee sounds magnificent!